Never underestimate the power and versatility of the rotisserie chicken. It can be picked, cut up, sliced, shared, made into umpteen other dishes or – I guess – eaten whole (although I wouldn’t suggest that last one. 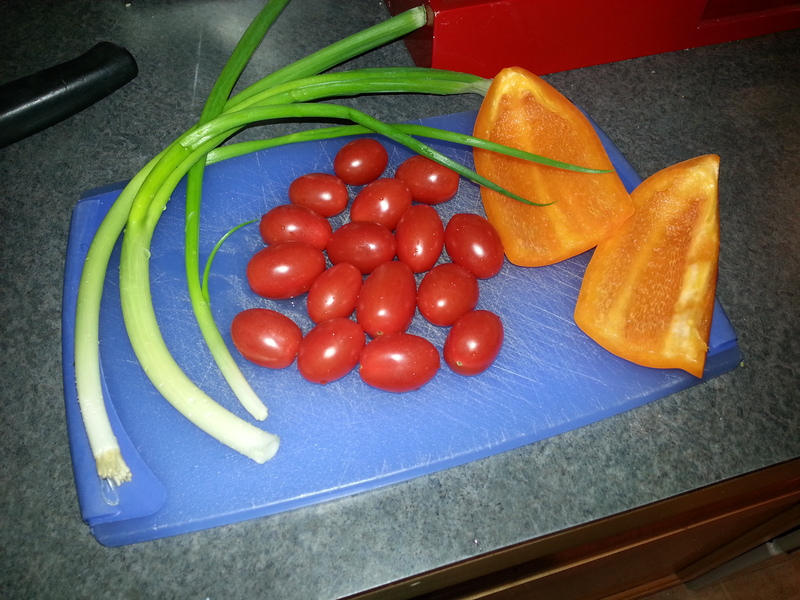 For my wife and I (as I have mentioned before), it has become an easy way to get the basis of a quick meal or two out of about $6.00, without additional cooking. One of our quick-meal mainstays is pulled chicken tacos, using a rotisserie cluck-cluck, and some of that tasty pre-mixed taco seasoning. The only problem with this meal is that – considering there’s only two of us – we usually end up making too much chicken, and we end up with a Tupperware filled fridge. 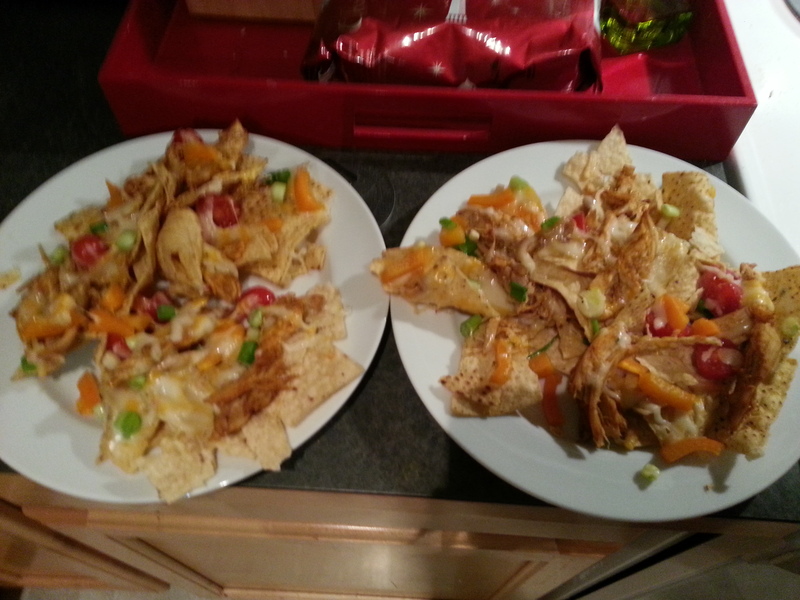 One of my favorite things to do with that leftover taco-seasoned bird is the subject of this post: simple baked nachos. 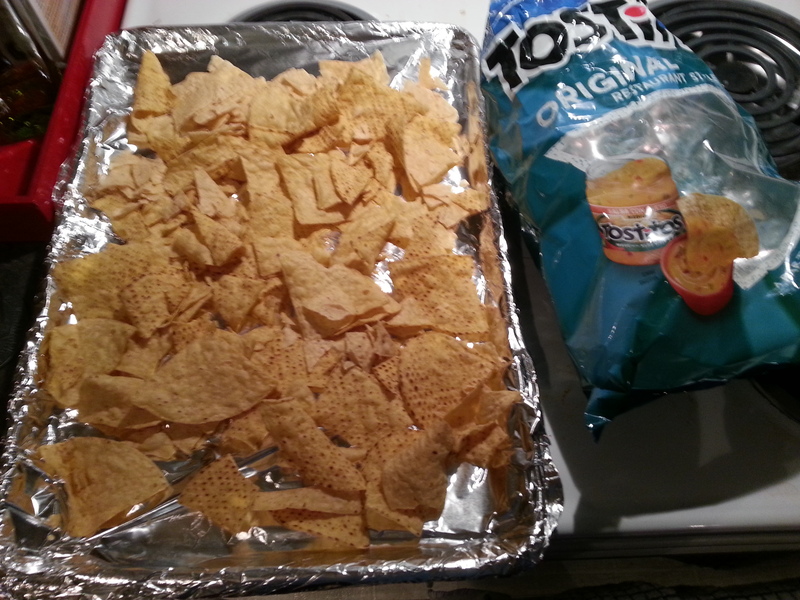 To begin, spread some tortilla chips (not the whole bag) in a single layer over an aluminum-foil covered cookie-tray. 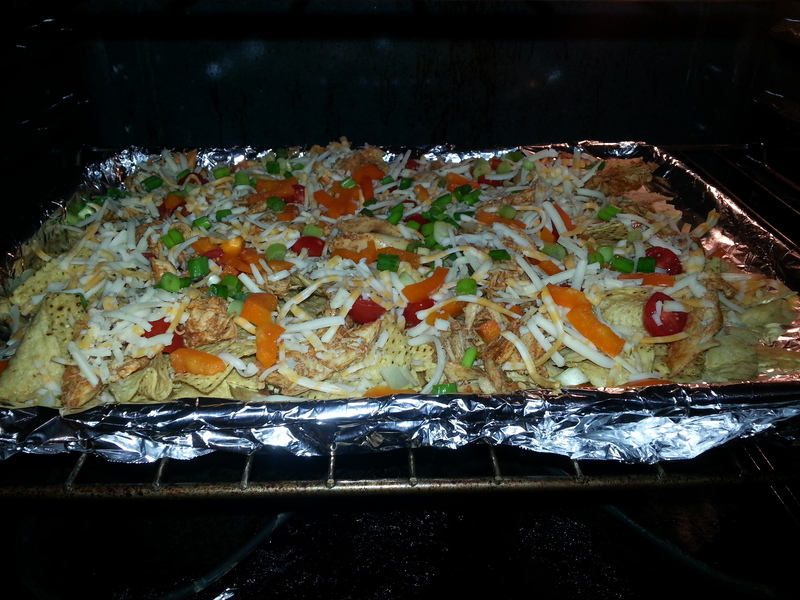 Layer chicken and sliced tomatoes and peppers over the chips. 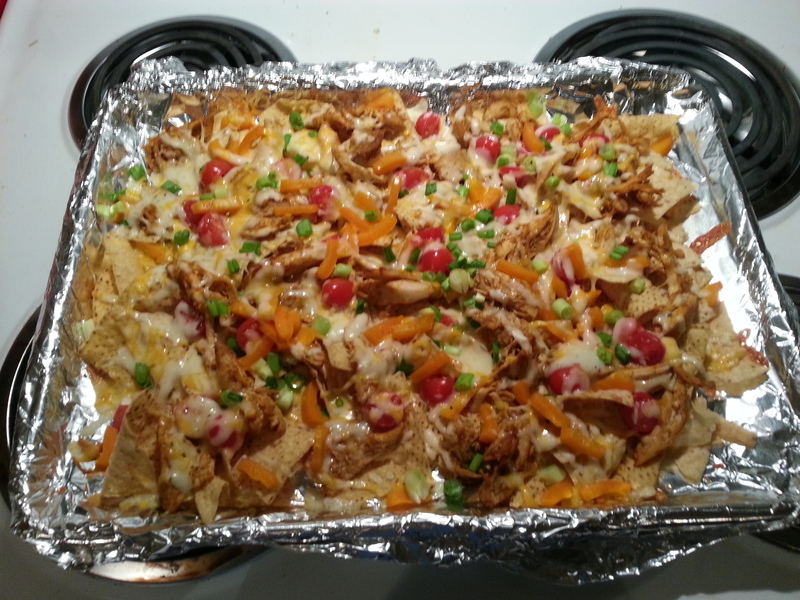 Top the whole thing with cheese, in a layer that is as even as possible, and sprinkle the chopped green onions on top. Note: you can add the onions before or after baking, but for my taste un-baked version has a little too much of that raw onion flavor. Bake in a preheated 350 degree oven for 15 minutes, or until the cheese is bubbly and slightly browned. Serve directly from the tray or on individual plates and enjoy! PS – I like to dip them in fresh salsa, or homemade guacamole as I go. Oh, and these go very well with my Irish Red. Cheers!